We are a small RIBA Chartered Practice based in Bristol working throughout the south west of England. Our designs respond to the varied character areas across the region to create finely crafted buildings with local distinctiveness. Our design ethos puts your dreams and aspirations at the centre of our design process. We translate your vision into exciting concepts and spaces that people love. Celebrating 30 years in practice Andrew Kenyon Architects is recognised for providing a high quality personal service to its clients in architecture, conservation and landscape architecture. Sustainable principles are integrated into all our projects with the aim of causing no unnecessary harm to the environment. What is exciting about our work is there is no single ‘house style’. Our designs respond to your individual requirements, C21 needs, climate and context resulting in bespoke solutions with regional identity. Other themes include the use of natural materials, building craft and attention to detail. Sensitive design over arches all our work. We help you add value to your projects through the design and planning process. We are highly successful in obtaining planning and listed building permissions on tricky sites, with nearly 100% success rate. Our clients include private individuals and developers. Working closely with you we use our skill and expertise to understand your individual needs and aspirations and to realise the full potential of all projects. We listen carefully, ask the right questions and draw upon our extensive experience to ensure we are designing for you, your site and your budget. Our small size allows us to respond swiftly to your queries and to provide a flexible service. Our efficient working practices and low overheads enable us to offer competitive fees and a value for money service. As well as enjoying a high level of repeat business, 9/10 of our clients are happy to recommend us. We use hand drawn sketches, CAD drawings and 3D computer models to conceive, test and communicate ideas. We provide a comprehensive range of architectural and design services that can be commissioned on an ad hoc basis or in their entirety. We are experienced in new build, conversions, extensions and refurbishments. Whilst well known for our work on high-end houses we have been involved in residential developments, student accommodation, equestrian buildings, polo centres, oak framed buildings and farm offices. We have also worked with a variety of existing buildings including traditional farm buildings, modern farm buildings, water mills, hop kilns, chapels, warehouses, offices, workshops, and the remains of a bishop's palace to achieve sympathetic conversions to new uses. • Inspiring open plan spaces filled with daylight. • Inside/outside spaces including balconies, terraces and verandas enjoying sunlight and shelter. • Making the most of views and privacy. • Best practice sustainability thinking integrated from the beginning. • Thermal comfort with low energy bills. • Local materials and crafted details combined with the economic benefits of modern construction. • Contrasts in colour and texture. • Integration of building and landscape. We have specialisms in building and landscape conservation. Projects including the re-use, repair, extension, reordering, refurbishment and restoration of non-designated buildings, listed buildings and historic buildings. Andrew's architectural conservation expertise is complimented by Wendy's training and qualification in landscape conservation. This allows us to offer both building and landscape conservation services. 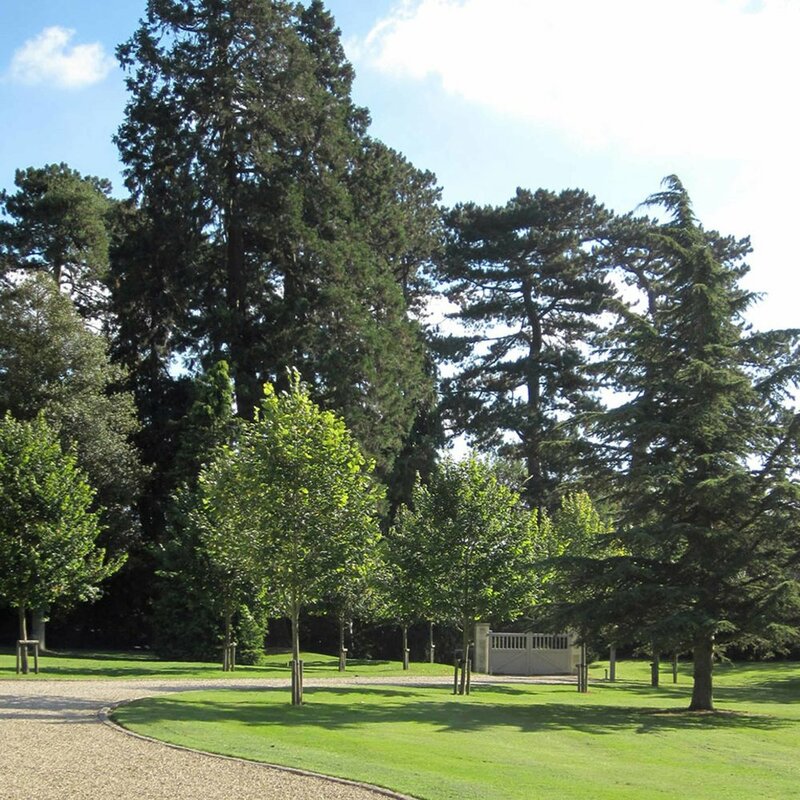 Landscape design services can be provided to complement our architectural and conservation work; this approach ensures a fully integrated proposal for the site and buildings. Our work recognises the spaces between buildings can be as important as the buildings themselves. We encourage clients to use landscape design to create or reinforce a sense of place. Examples include site planning, structure planting, natural swimming pools, tennis courts, tree avenues, wildlife meadows, orchards, gardens, and enhancing the setting of listed buildings.